More than just a cozy quilt mystery, Earlene Fowler covers relationships, racial relations and ranch life in California. For Benni, the annual State Fair is a much anticipated break in her routine of overseeing museum exhibits, temperamental artists, and stubborn cattle. This year they are showing traditional African- American quilts. But when one is stolen and it leads to a cold-blooded murder, Benni realizes there is more to this fair, and she'll have to see who is really a wolf in sheep's clothing. 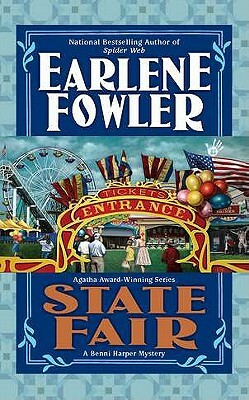 Earlene Fowler was raised in La Puente, California, by a Southern mother and a Western father. She lives in Southern California with her husband, Allen, a large number of quilts, and twenty pairs of cowboy boots.